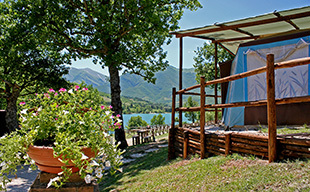 Natura Camping is a tent camping site nestled on the shores of Lake Fiastra. This exclusive campground boasts splendid panoramic views of the lake, set off by the verdant mountains of Monti Sibillini National Park. 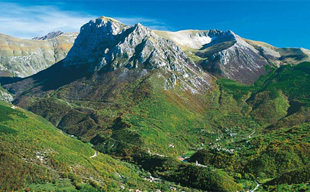 Discover the many attractions awaiting you at Monti Sibillini National Park, and much more! 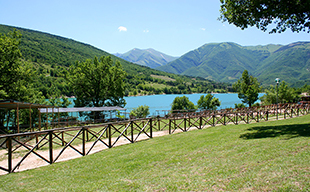 Relax at the lake or set out on foot to discover the park's many trails, go canoeing, or visit the tiny towns dotted across the Marche. Check out our daily, weekly and seasonal rates. Staying longer than 6 nights? Take advantage of our special 20% discount! Open from 1° May until 30 September.